Co-Creating (self-portrait) Age 11, acrylic on canvas 48 ? x 60"
Akiane’s work defies definitive description, and her faith refuses to be bound by doctrine. I am left with more questions about this little girl’s life after reading her book Akiane: Her Life, Her Art, Her Poetry. When asked what faith she adheres to, she simply replies “I belong to God.” She does not define herself as a Christian, but has visions of God, whom she describes as her Father, and often paints scriptural settings, such as in her famous piece The Prince of Peace: The Resurrection, [see below] her first painting of Jesus. Age 8, oil on canvas 36 ? x 48 ? 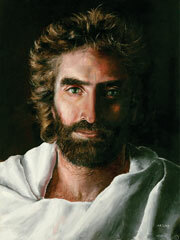 Akiane Kramarik came to Northern Idaho with her family 4 1/2 years ago when she was just 7 years old. By that time she had not only begun to paint large canvas works, but was dictating poetry in her mother’s native tongue Lithuanian, the primary language spoken in the Kramarik household. To say that her work is organic and natural is a complete understatement. Completely self-taught, Akiane’s work seems to simply pour forth from her. Hard times had brought the family from Illinois where Akiane helped pay for her art supplies by giving art classes to her young friends. While early works were largely ignored, she became an overnight sensation after appearing on the Oprah Winfrey Show in 2002 when she was eight. She was then featured in the movie The Indigo Evolution, the second movie which focused on the amazing spiritual and psychic abilities of the generation of children being born on the planet at this time. Since that time she has traveled the world sharing her visions, her work, and her hope. Her paintings sell for six figures and help Akiane focus on one of her visions of ending poverty in the world through contributing to over 200 charities. While much has been said about the idea of the child prodigy, many believe that Akiane will not long be held by such titles. Traditionally, children who achieve a high degree of natural artistic mastery tend to achieve a certain level of ability, but are not able to progress beyond that into true creative self-expression. Very rare is the prodigy who masters technique and then develops originality and style. Pablo Picasso was one, is Akiane another? Many say that her work already shows a high degree of originality, and she continues to experiment with form and function. 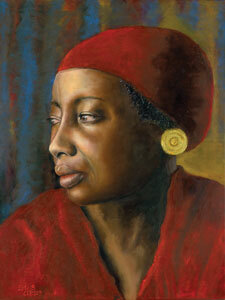 While most of her popular works are very realistic, she also dabbles in expressionism and other forms. 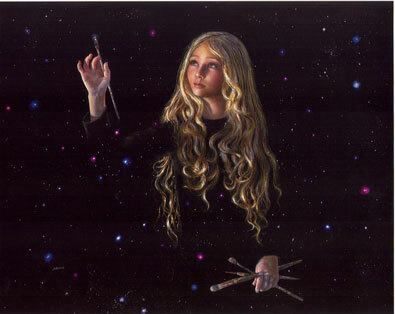 In fact, she calls what she does Akianism – “a blend of realism and imagination.” While some say this is very precocious of her, others see a child stretching her creative and spiritual wings, strongly anchored in the knowing of self and soul. She doesn’t claim to channel anyone or anything, but rather gives voice and form to dreams and visions she has (many of which she doesn’t remember the complete content of) and when words come into her head, she writes them down. I expect a wise sage, a conceited know-it-all adolescent, with a touch of arrogance and find I’m actually nervous about what I might encounter on the other end of the line. What I meet, however, is a kid who likes to paint, and who is completely comfortable with expressing things she sees, things she believes, and her vision and mission for the world of service and guidance. While some paintings portray traditional themes, others are taken from visions of the “New Earth” – a time in the future that we are preparing for, symbolic images of hope and desperation, abandoned children, fuzzy kittens, and some visions that she has not discovered the meaning of yet such as The Pyramids. She’s sure of herself as only children can be before they’ve been told by culture and society that they are imperfect, not enough, and in many ways just plain wrong. Home-schooled, raised in an ambiguous spiritual atmosphere, and supported in her artistic endeavors by both parents and her three brothers, Akiane represents that primordial innocence that we all long to return to, to the truth of knowing our own divinity. acrylic on canvas 36 ? x 48 ? Underneath it all, it is hard to not respond to her work, and even harder to not be blown away by her groundedness and by her lack of precociousness, as I found when I spoke with her. We chatted about her new work, what it’s like to be a superstar, and the New Earth……..
SOV: What is Your Spiritual Practice Akiane? Akiane: Everyday, I stay in communication with God- I talk to Him everyday. We communicate when I pray or when I’m doing artwork or poetry. He tells me what to do, and what I should put on the paper. SOV: In response to people asking you what denomination or religion are you, you’ve answered “I belong to God,” yet often in the media you are described as a Christian. Does this bother you? Akiane: People are free to call me anything, but in my heart I know, we all belong to God. It’s just talking to him. We pray whenever we feel like it, spontaneously. We don’t follow any specific rules. SOV: Can You Tell Me More About the New Earth You’ve Painted? Akiane: A guide told me that it would happen in my lifetime or my children’s lifetime. God has something in store for us and most everyone can see it. All of my paintings have a little bit of each piece that will happen. SOV: In Several of Your Paintings [such as The Light-Bearers and The Hourglass] You Depict Five Groups of Animals that Represent Five Soul Groups. Can You Explain What This Means? Akiane: I don’t know! At first, with the dolphins in The Hourglass, there were only two playing, but God said to make five. The same thing happened with the bears [in The Light-Bearers]. I do not know what the “five” means. oil on canvas 48 ? x 48 ? SOV: What Does God Mean to You? Akiane: When I was really little, I did not believe in God. When I first saw him in a vision I knew it was Him though I had never met Him. There is an image, but there is something much bigger behind him. It’s very hard to explain. There’s something bigger behind what I actually see. SOV: You Seem So Sure of Yourself and Strong in Your Knowing – Do You Ever Have Doubts? Akiane: Yes. I ask myself “Why did He pick me?” I was too young to know what was in store for me. Why not someone older? It’s difficult, but also easy. I don’t know why God gave me this gift, it’s not perfect yet, and inside I’m just a regular person. I’m just trying to do what God has in store for me. Some people are jealous. But, we all have gifts. We all can do something the same as me. You have to have faith and courage to ask Him. SOV: You Have People of Many Races in Your Paintings. Why is That? Akiane: I want to paint the whole world. There are so many people in the world, not just us, and we need to learn and talk about them. So many places are very difficult to live in. We need to help them and learn more. I want to paint Chinese, Japanese, African, all faces! oil on canvas 36 ? x 48 ? SOV: How Does Your Artistic Work Continue to Grow? 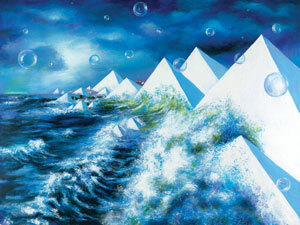 Akiane: I love to paint huge paintings and I see myself painting bigger and bigger sizes. The bigger the better so you can see more details. I paint and you can see another whole world. SOV: What are you working on right now? Akiane: A painting of Mary and baby Jesus called Mother’s Love, which expresses the mother’s love for the child. She is wearing a blue silky robe that the three kings gave her. There are many different colors. SOV: You Describe Your Process as Co-Creating with God – Do You Ever Disagree with Him? Akiane: [Laughs] Yes, sometimes, but I figure I have to do what he tells me! SOV: Why Do You Feel that the World Needs to See Your Work Right Now? Akiane: There are so many different feelings, and tragedies and confusion in the world. God told me that if everyone sees the work that He has given me, they will feel happier. Akiane acts out that vision in the world through her art, and through her charity work that seeks to bring the world together, and to end poverty. Only a child could believe that either of these things is really possible, and embrace a spirituality that is all-encompassing, open, and natural. Akiane will be traveling to New York in July to auction off several painting at Christy’s. Proceeds will go to over 200 selected charities. She and her mother are also hard at work on her next book, My Dream is Bigger Than I: Memories of Tomorrow, due out in October. She will be in Spokane on July 8th for a book signing, and will visit Spirit at Work Events Center in Boise November 11-15 for a book signing and gallery showing. See her website for more details: www.akiane.com. 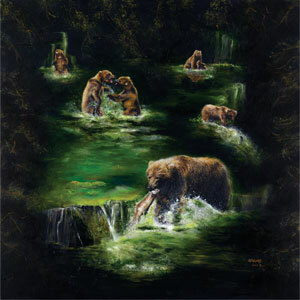 All Images of Paintings Used By Permission of the Artist and Her Family. To see these & more images visit www.akiane.com. Stand on the corner of Center and Main Streets in Pocatello’s historic Old Town and just pick a direction – any direction – you’ll be just minutes away from a satisfying physical, mental and spiritual adventure. In addition to the numerous and luxurious day spas and salons throughout the area, the Portneuf Valley offers many free and informal getaways and retreats via foot, bike and automobile travel. Contemplate the grace of water in a high desert on the Greenway. The Portneuf Greenway is a beautiful and soothing river walk along the banks of the Portneuf River. Nobody really knows where the name “Portneuf” came from, but it is believed to translate (loosely) as “New Port” bringing to mind the peace afforded travelers from life’s storms and this makes it hard to think of a better place to take a break. Over thirteen miles of trails wander from large block columns of basalt through the historic Old Town of Pocatello and into riparian habitat rich with wildlife. The official Riverfest is in June and celebrates the rich quality of life this river affords those who live here. The Riverfest is a carnival atmosphere with fun and games for the whole family. Maps showing individual sections of the Portneuf Greenway are available online at www.pgfweb.com/publications.htm or you can purchase a Greenway Guidebook at the Community Recreation Center (114 Wilson) or at the Greater Pocatello Chamber of Commerce for $1.00. For silence and solitude, center yourself and reflect at the Meditation Garden along the Greenway. 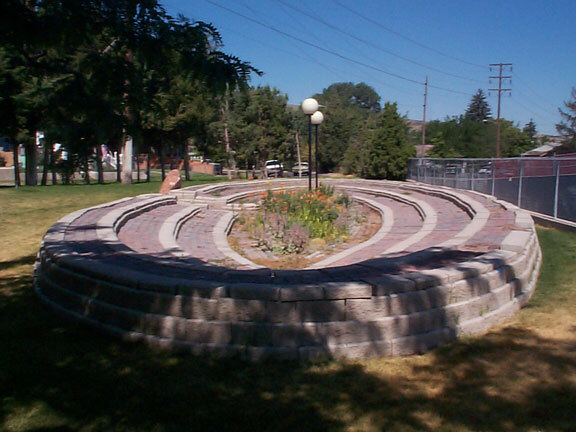 This Meditation Garden was built with loving hearts and hands by the Children’s Advocacy Network and the Bannock Youth Foundation near the historic power house building at the corner of West Wyeth and North Johnson. Or you can spend the day in the presence of angelic birds among willows and alders at the Edson Fichter wildlife area. Keep going south on Bannock Highway to enjoy the riparian woodland and the soothing sound of water at Cherry Springs before climbing into the alpine forest of Justice Park and Scout Mountain. Part of the little-known Caribou National Forest, there are numerous hiking and mountain-biking trails throughout the area and a campground at Scout Mountain. Caribou National Forest is named for a gold-miner, Jesse Fairchild aka “Caribou Jack.” Several north-to-south mountain ranges in the Caribou provide everything from sagebrush steppe to alpine timber of quaking aspen and Douglas fir and this can transport the most technically savvy into another place and time. Traveling north of Pocatello offers a getaway with a Native beat at Fort Hall. Take plenty of time at the museum; let yourself get lost in the art of beading, Native crafts and lifestyle displays. The Shoshone-Bannock Tribal Museum is open from 10 am till 6 pm April through October and until 5 pm November through March. 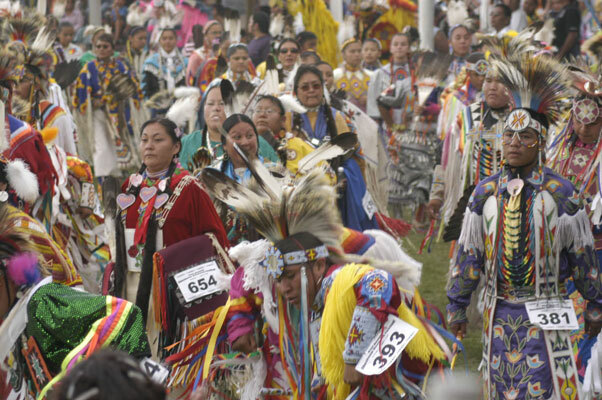 If you happen to be in the neighborhood in August, the Shoshone-Bannock Festival is one of the best Native American festivals with a full week of celebrations and dancing. The Festival’s humble beginning was more-or-less a get together before the long winter; now days Fort Hall hosts a week-long population of over 40,000 people and spectators. There’s a parade, games and foot-races, plenty of native food and favorites, a rodeo, relays and, of course, the dancing. Festival information is updated as events are added and logistics worked out, so it’s best to check the website at www.shoshonebannews.com/festival.htm. Historically, Fort Hall was an important stop for emigrants along the Oregon and California Trails. Today, parts of the reservation are closed to travelers to protect the ecology of the Snake River Plain and what is commonly known as the Fort Hall Bottoms remains a wild and pristine environment. Permission to visit the site of the original fort at the Bottoms must be obtained from Shoshone-Bannock tribal officials and is a fabulous nature retreat. While not the most private of places, a replica of Fort Hall is located in Pocatello’s Upper Ross Park. Allow yourself a couple of hours to stroll through the sights and sounds of history at the replica and the nearby Bannock County Historical Museum. Don’t leave Ross Park without visiting the Pocatello Zoo, one of only a handful of zoos in the United States that exhibits only animals indigenous to the area. History lovers can retreat into space and time in Old Town Pocatello. Beautiful and unique historic buildings line the streets and a brochure detailing a walking tour is available at www.oldtownpocatello.com. Pocatello was founded in 1882 and named for a Chief of the Shoshone-Bannock Indian tribe. Pocatello is also known as the Gate City, being a gateway to the Northwest through the appropriately named Portneuf Gap. Old Town Pocatello shops open to feature local artisans on the first Friday of every month during First Friday Art Walks. And every retreat or getaway should have fresh, locally grown fruits and vegetables from the Farmer’s Market on Saturdays May through October and Wednesdays July through October at the Union Pacific Railroad Station parking lot. Take an active retreat on any of the numerous hiking and mountain biking trails that weave into the foothills and mountains around the city. Every season offers something special and inspiring. Lift your spirits with every step along trails lined with seasonal flora and fill your lungs with exhilarating breaths of sage and sky. Maps detailing the trails and trailheads can be purchased at Scott’s Ski and Sports at 224 N. Main St. or at the Idaho State University Outdoor Program’s web site at www.idu.edu/outdoor. The Portneuf Valley is nestled into limitless possibilities to getaway from business as usual. It is a natural place to find the perfect retreat around every curve, bend and corner. Taking a retreat is the nicest thing you can do for yourself; and in the Portneuf Valley you can be nurtured in every direction. Getaway to the Treasure Valley this Summer! Hello! My name is Cheryl Richard and I’m the new salesperson for Spirit of the Valley in the Boise and Treasure Valley area. I will also be writing a couple of articles each issue to let you know what will be going on in my area. I think most of you will be surprised with the many, many things to do for all of us who are spiritually hungry, or are just looking for something fun to do. I’m going to start with my favorite thing to do in the spring, summer and fall months: GO TO FARMERS MARKETS!! Are you aware that there are several farmers’ markets in the Treasure Valley area? I live in Nampa so I hit the Nampa’s farmers market just about every Saturday along with my favorite dog Novia. The Nampa’s farmers market starts in May and runs through October! That’s 5 months of farmers’ market action! The summer months bring in the mouth watering fresh fruit and veggies including my favorite: tomatoes and corn! I have only been in Idaho for a year and a half but this is the first place that I have lived that you get so many months of farmers’ market indulgence! The Nampa’s farmers market is located in downtown Nampa. The Boise’s farmers market is of course much larger, with more venders such as artists, wineries, jewelry makers - just about anything you can think of you can find it at the Boise’s farmers market. Meridian, Eagle and Caldwell also have farmers’ markets. Most farmers markets’ you will find in the downtown area’s on Saturday’s. Some other things happening in the Boise area is the Great Garden Escape Concert Series at the Botanical Gardens . This takes place every other Thursday from 6:30 until 9:30. The first one in July is the 6th. The Botanical Garden’s is located at 2355 East Old Penitentiary Rd. Bring your blankets and picnic baskets and sit back and enjoy some wonderful live music. There is also food and beverage vendors. • July 8th and 9th it’s the Lakeside Lavender Festival in Nampa from 10am until 5pm at 1003 W Locust Lane. Come for the annual cut your own and lavender product line. • The Snake River Stampede is July 13th thru the 22nd . Join us in Nampa for the rodeos, the free concerts, horse drawn parade, of course the FARMERS MARKET and craft fair, specialty acts, fiddling and much more. Call 208-466-8497 for more details. • Coming to Spirit @ Works Event Center is Vanda’s Quantum Comedy Show Enlighten Up! July 14th and 15th. Call for tickets at 208-388-3884. Next time you’re at Spirit at Works at 710 North Orchard be sure to check out the Shangri-La Tea Room. • Don’t miss the Goddess Fest on Saturday July 29th and 30th, from 10am until 5pm at Julia Davis Park. There will be food, music, psychic readings, dancing, healing and much more. • Every Wednesday in Boise is Alive at 5. This is located in downtown Boise from 4:30 until 8pm. There is tasty food and drink along with live music and entertainment galore. • On the second Wednesday of each month is a two hour class on essential oils at the Dancing Dog Coffee House located at 10 Franklin Rd in Meridian from 7pm until 9pm. This class is being taught by Shauna Ault, DVM. Don’t forget about the Idaho Coalition Of Natural Health Wings meeting on the third Thursday of every month in Boise, at the Copper Kitchen Restaurant off of Vista Dr, from 11:30 am until 1pm and in Meridian the first Wednesday of every month from 6:30pm until 8pm at the Dancing Dog, at 10 Franklin Rd. • Crones Cupboard is offering several different classes through out the summer such as Meditation classes, Healing Essence of Oils class, Crafts of the Craft and others. Call for more information at 208-333-1441. • Raw Foods and Rare Finds will be holding monthly Raw Food potlucks. Call Ann at 208-322-3670 for more info. As you can see, the Treasure Valley is filled to the brim with activities to do and I haven’t even scratched the surface on what will be happening this summer . If you would like to get me any information on other actives that will be going on this fall in the Treasure Valley please E mail me at cheryl@spiritofthevalley.info. Until the Fall issue, may we all be truly blessed. Owner of the Natural Niche health store in Ketchum, Roy Tinker, will be opening a second Wood River Valley store at the end of June in Hailey! Big Wood Nutrition will be located at First Street and Bullion, in the new Olde Mercantile building, (hee hee) across from Altura’s Plaza. Due to the changing and growing demographics of the area, it seemed like the right time to add an additional store. Store manager Ruth Clark said that there will be some changes, additions and new offerings at the Hailey store. While they will still carry their expansive line of bulk teas and herbs, the Hailey store will not be offering foods beyond snacks and drinks. The store will also be expanding products within lines they have been carrying in supplements, homeopathics, and other areas. Look for more choices in organic body care products. There will also be a Hawaii-Pacific Rim gift shop at the store. At press time, Big Wood Nutrition is slated to open on July 4th after the big parade, and will be open Monday-Fridays from 10 – 6:30, and Saturdays from 10 – 2. Employees, including massage therapist Dianne Pobocik, Ashley Hankins, high schoolers, and health nuts, are all excited about the expanded layout of the new store, and all of the great health offerings that will be available now in the South Valley. Ruth, who has been with the Niche for over 7 years, is excited about shaping the store in the family owned building, and in being able to expand in all ways. The 7th annual Ketchum Arts Festival kicks off this year on July 7th and runs through the 9th. Begun in 2000 as a way to feature and support local artists, the Festival has grown again this year. Over 80 artists will be present, 20 of them first-timers from the local art scene. In addition to all of this, there will be a variety of local musicians performing throughout, and art work from virtually every genre and medium. This show will once again take place in the “Festival Meadows” on Sun Valley Road.